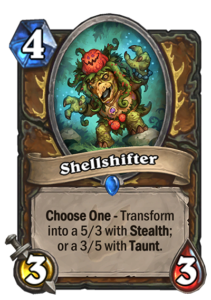 Bittertide Hydra is the new Fel Reaver (Goblins vs Gnomes card that is in Wild). It is a 5-mana 8/8 Beast with a drawback: whenever it takes damage, it deals 3 damage to your hero. 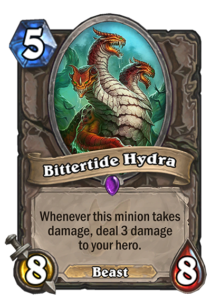 Aggro decks don’t generally care about their health, as long as it does not drop down to zero, so Bittertide Hydra is a strong candidate for a build-around card to base an aggro deck on. 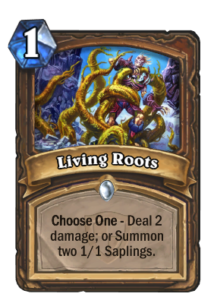 Druid seems particularly suitable, because Innervate can be used to accelerate tempo and drop a Bittertide Hydra potentially on turn 3 – or super-highrolling it on turn one, even. 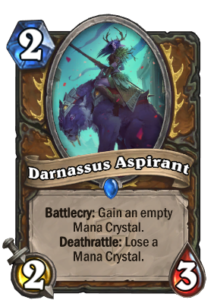 Aggro Druid is losing a ton in the rotation though. 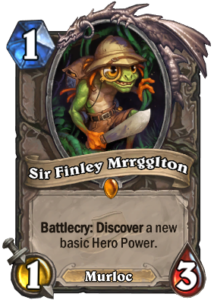 Living Roots, Sir Finley Mrrgglton, Druid of the Saber, Darnassus Aspirant, Argent Horserider, and Mounted Raptor are all rotating to wild, and Druid is getting just about nothing for its early game, not even from neutrals. There are some options Druids can look for. Lately, some people have been playing Pirates in Druid, even with some success. 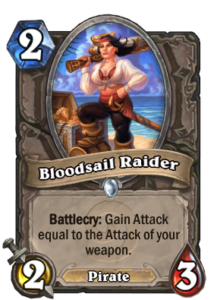 I guess it seems crazy that a Bloodsail Raider, a 2-cost minion that is meant to synergize with weapons can find a place in a Druid list where no weapons are available, but this is the power of Patches. 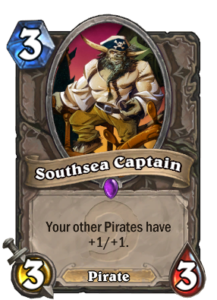 With Pirates able to flood the board early, combined with buffs from Druid and the Southsea Captain, such a crazy combination can even work. However, with all the Druid is losing, even that does not seem enough to fill in the gaps. 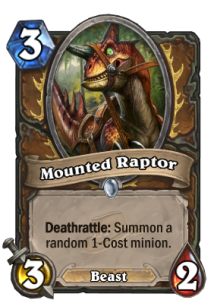 One option to fill in the gaps would be to rely on the midrange beasts available to Druid. 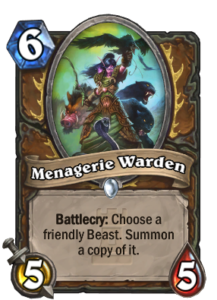 Jungle Panther, Shellshifter, Stranglethorn Tiger, Druid of the Claw, and Menagerie Warden offer some very powerful plays around turns four to six, perhaps enough to push through, especially when combined with Mark of Y’Shaarj that is easy to cast on a stealthed minion. 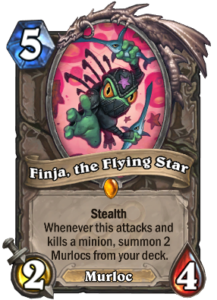 Another option is to go for the popular Water package: Finja, the Flying Star and his four friends: two copies of each Bluegill Warrior and Murloc Warleader. 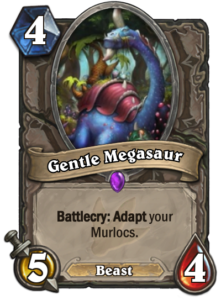 With Journey to Un’Goro, these can even be complemented with Gentle Megasaur for some additional power. Innervating Finja on three followed by Gentle Megasaur on four after the Finja pull is an immense tempo play. 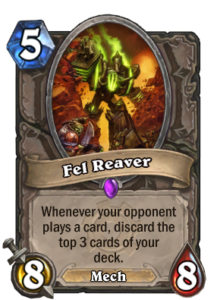 If the deck is full of these powerful combo plays, some of the options will be open fairly often. Here are two alternatives of what an Aggro Druid could look like. 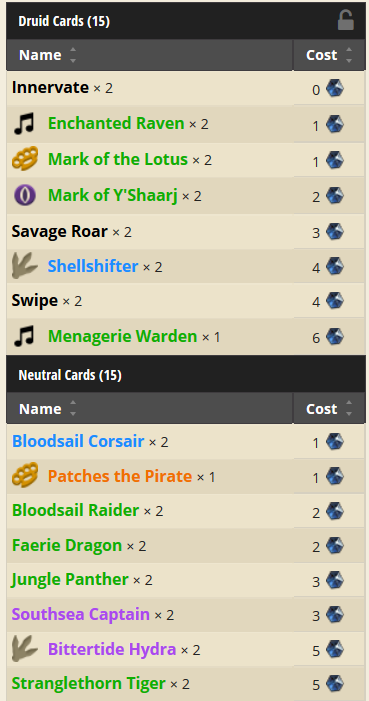 Both are based on the Pirate package for the early game, as it is really difficult to find any viable early game for Druid right now. The difference is whether the next option is to go for the Murloc package or the Beast package. The Murloc package can highroll more, but the Beast package is more powerful if you fail to hit your combos. 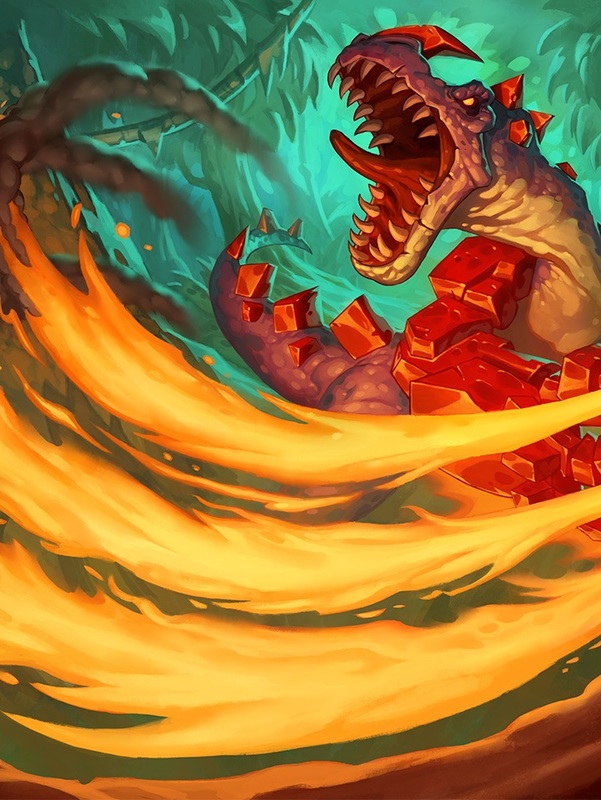 If the meta turns out to be really slow, it could even be possible to ditch the pirates and play with Beasts and Murlocs for a lot of power against control and slow midrange decks. I doubt that will happen, though. 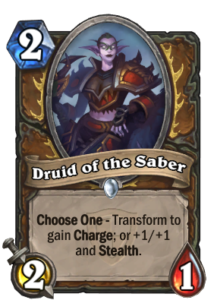 Aggro Druid is in a bit of a bind, as it is losing a lot in the rotation. 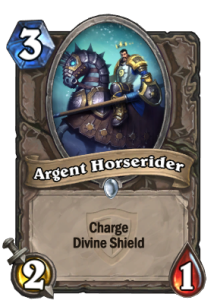 That said, Bittertide Hydra alone might be enough to breath some life into the archetype.